Here's the most famous amaryllis of them all. Recommended by Dutch growers as one of the most foolproof varieties, Red Lion is enjoyed by more Americans for winter bloom than any other bulb. 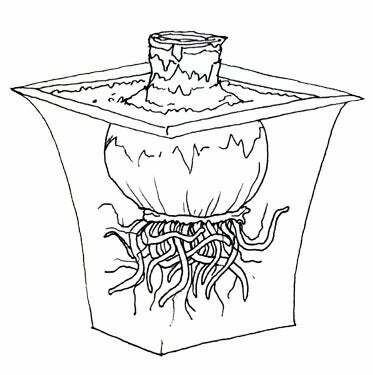 Whenever you choose to plant your Red Lion amaryllis, you can expect to see blooms in 6-12 weeks. 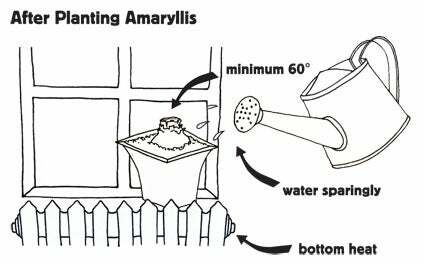 Amaryllis How-To: Ever grown an amaryllis inside the house? It's a snap. 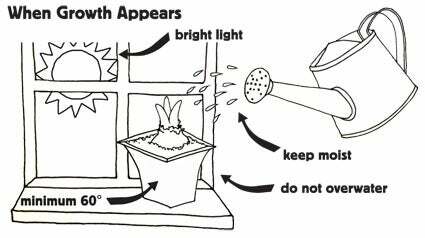 There can be rain, cold and snow outside, but all you do is plant the bulb in a pot, water this "magic lily", and watch it zoom into growth. Eventually, enormous flowers begin to open--huge lily blooms up to 8" across! Each bulb produces one or two stems, each with 3 or 4 flowers! Then you'll have a big show for over a month.